World DNA day: Can DNA affect your sleep? 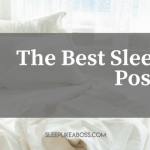 Are you a light sleeper or a heavy sleeper? Do you know someone who leads the same lifestyle as you but requires only five hours of sleep to fully refresh themselves? You, on the other hand require at least seven hours of sleep to get going. Scientific research over the past 50 years have unearthed that your sleeping patterns may very well be determined by your DNA. Why is this important? Because by understanding your own genetic makeup you can adjust your lifestyle to provide your body with what it needs. 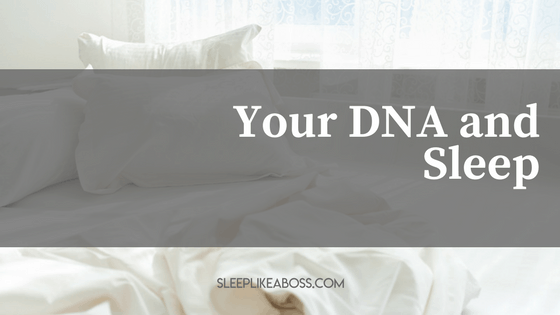 So in celebration of the World DNA day this week let’s take a look at what sort of DNA determines our sleeping patterns. First off, a little primer about DNA. DNA (Deoxyribonucleic acid) is a molecule that determines the growth, functioning, and reproduction of nearly all life on earth. DNA can be found in many cells of the body where it is contained at the center of the cell in condensed form. DNA can be defined as ‘message containers’ that envelop the blueprint on how an organism is structured and will behave. Genes are continuous areas of DNA that contain the message for a specific task. These can include the genes that produces the insulin hormone. Or the genes that produces Human Growth hormone (HGH). 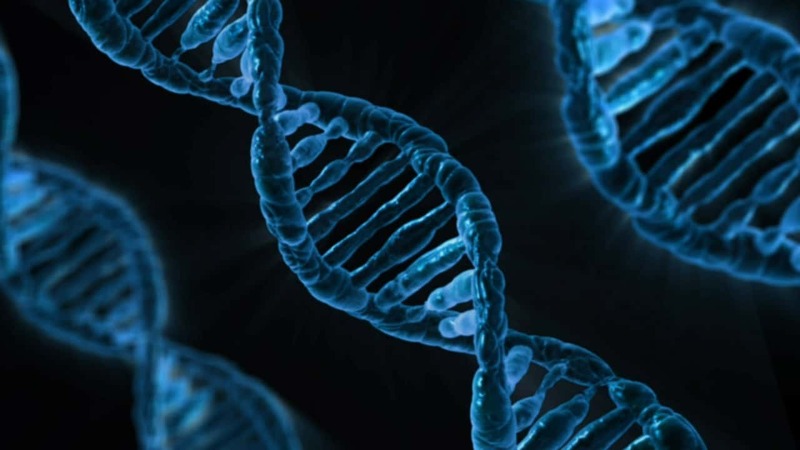 Mutation of genes occur when the normal structure of these areas of DNA is disturbed by either mechanical or other force resulting in novel DNA sequences. This can disrupt the functionality of the specific gene. Scientists have recently identified seven specific genes that have a great impact on sleep. Over 100,000 people participated in this study. Those with reported cases of insomnia were analyzed for both genetic and physiological factors that may cause these sleep disorders. Most of the genes identified in this study had been previously linked to causing sleep disorders such as restless leg syndrome (RLS) and periodic limb movement of sleep (PLMS). What they also found out was that most of these genes were linked with each other, meaning that the activation of one gene could lead to the activation of another creating a domino effect culminating in severe insomnia. They also found that the genes were located in different locations for males and females, and required different stimulations to be properly activated. Some of the genes identified in this study were named as CLOCK, RGS16, PER2, and PER3. A single DNA alteration in these genes can cause up to a 36 minute difference in optimal sleeping time between 2 people. Therefore when these differences are compounded it is easier to understand why discrepancies exist even between sleeping patterns people with similar lifestyles. Other studies have also found that genes influencing the production of hormones such as thyroid hormone can also have a significant impact on sleep. Thyroid hormone is usually linked with wakefulness and physical activity. An alteration in the structure of this gene (PAX8) has been linked with releasing an abnormally high amount of thyroid hormone which results in difficulties in getting sleep. Therefore what we should learn from this is that there are some things that we truly can’t change about our bodies. However, one of the most successful solutions in getting good sleep is sticking to a regular routine. Studies have shown that people who fall asleep at a specific time have better sleep in terms of duration and quality. Also incorporating a better diet and a physical exercise regime is also important in signaling our bodies on taking a break on a regular basis. 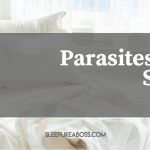 So finally, what we have to understand is that while it is possible that some of us may be genetically inclined to have low quality sleep, there are external factors that we can change to ensure that the sleep we do get is the best possible. Personally I am a huge fan of epigenetics and how we can actually control our genetic make up through lfiestyle. Also be aware that toxins that you are getting through food or through your skin can switch on genetic markers but can also switch them off! Here is a video on epigenetics that I really like and that makes a lot of sense to me. If you need help optimising your sleep and your epigenetics through lifestyle and science at that then shoot me an email. I'd be happy to help. Sleep DNA – Why it’s a thing. Davis. K.W. Exploragen. July 2017. Learn 3 tips that will help you to optimise your genetic make up and put you back into the driver's seat by watching my Facebook video below!